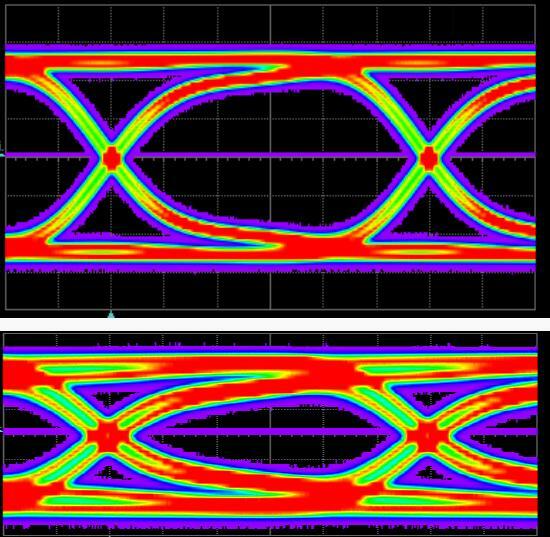 The approach overcomes the limitation of conventional chip-testing methods on the so-called 3-D chips, which include many thin horizontal "floors" connected to one another by vertical pathways called through-substrate vias, or TSVs. These TSVs are essential to the operation of 3-D chips, which have become commercially viable only in the past few years after decades of sustained development effort by the industry. With NIST's new testing method, chip designers may have a better way to minimize the effects of "electromigration," a perennial cause of chip failure rooted in the wear and tear that relentless streams of flowing electrons inflict upon the fragile circuitry that carries them. The NIST approach could give designers a quicker way to explore the performance of chip materials in advance, thereby providing more, and almost real-time, insight into what materials will best serve in a 3-D chip. "Our work shows it may be possible to spot microscopic failures faster," said NIST's Yaw Obeng, research chemist and the leader of the Metrology for Emerging Integrated Systems project. "Instead of waiting for months, we can see in days or hours when it's going to happen. You can run our tests during the material selection phase to see how processing will affect the end product. If you can't see it, you might make the wrong decision." Using microwaves brings multiple benefits. Perhaps chief among them is how rapidly the method provides information about a device's reliability, in the actual device of interest, long before it actually fails–a possibility unavailable with the resistance-based approach. "Before failure comes what we call a 'quiescent period' when the beginnings of defects are blowing around through the material, like seeds in the wind," Obeng said. "The microwaves show this process happening. If you just watch the material with resistance, you don't see this, it's either alive or dead." "This approach would give materials designers insight into what materials to use in chips and how to build them," he said. "Making the right decisions can result in an end product that's more stable and reliable. This will give them more information to make those decisions."